The San Vicente Valley Club welcomes guest speaker Bob Hailey, operations manager of the Guy B. Woodward museum, at its November 28 luncheon meeting. 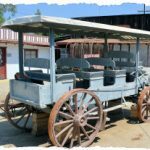 The museum exhibits historic treasures of early Western culture, including antique furnishings, vintage clothing, cowboy artifacts and mining equipment. 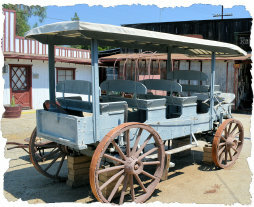 Resembling a small Old West town, the surroundings buildings include a cowboy bunk house, blacksmith shop, tack room, one-room school, post office, and millinery shop.